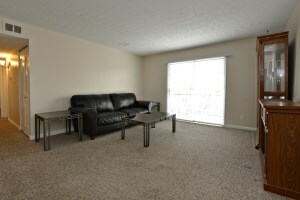 106 Algiers Ct #8 Louisville KY 40218 is a move in ready 2 Bedroom Condo in Mansard House. The property includes over one thousand square feet of space & has 2 Full Bathrooms. New owners will love the convenient single story floor plan with neutral colors throughout. Enter to the Living Room with great natural lighting. The Dining Area showcases chandelier fixture & chair rail. 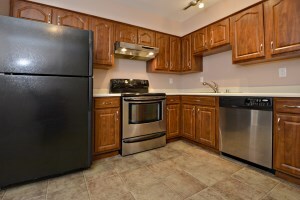 The Kitchen offers plenty of cabinet space & nice appliances. The Master Bedroom is large with its own Master Bath & walk in closet. A second Bedroom, Full Bath, and stacked washer dryer area complete the layout. The exterior of the unit includes a pleasant balcony for outdoor relaxation. 106 Algiers Ct #8 Louisville KY 40218 is part of a wonderful community complete with clubhouse, fitness room, playground, & pool. Parking spots are not assigned at the complex but new owners will have access to two parking spots (one by the door and one in the lot). Pets are allowed up to 25 pounds. 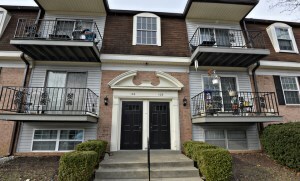 Call 502-371-1173 for more information or to schedule a showing of this condo in Louisville! At Home in Louisville Real Estate Group is excited to invite you to THREE Open Houses in Louisville this weekend! The Model Home at Dorsey Pointe Townhomes will be open both Saturday and Sunday from 2-4pm. Our listing on Elmwood Ave will be held open on Sunday from 2-4. 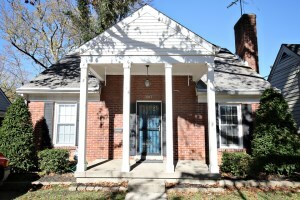 The property on Elmwood Ave is a lovely 3 Bed 2 Bath Cape Cod in St Matthews! We would love to give you a tour of either property! Give us a call at 502-371-1173 for additional information! Join At Home In Louisville this weekend for three Open Houses. The beautiful Model Home at Dorsey Pointe townhomes will be open on both Saturday & Sunday from 2-4. 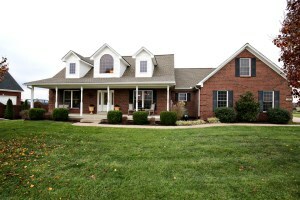 Then on Sunday, 191 Nevin Ln will be open from 2-4. Two spectacular properties! Give us a call at 502-371-1173 for more information or attend the Open Houses in Louisville this weekend! At Home In Louisville Real Estate Group will host an open house this Sunday February 14th (Valentines Day) from 2-4pm at this gorgeous townhome in Dorsey Pointe! Come out and take a tour! We would love to show you all of the features of the six fantastic remaining units in Dorsey Pointe Townhomes! Open House in Louisville KY! Join At Home In Louisville Real Estate Group this Sunday February 7th from 2-4pm at this gorgeous townhome in Dorsey Pointe! The neighborhood is located just off of Shelbyville Rd & Dorsey Ln. You will fall in love with the wooded surroundings & spacious interios with custom finishes. Each of the six remaining units offers over 2400 square feet of above grade living space as well as a huge unfinished basement. One of the six units is finished and functions as a model home. This unit is available for purchase as well as the other five. New owners will love the opportunity to choose custom cabinetry, tile, & fixtures. The builders can also finish out the basement as an upgrade package. Photos are available at the model to show views of the basement if finished. At Home In Louisville Real Estate Group holds regular weekend open hours at the Model home at Dorsey Pointe but would also be glad to set up an appointment at a time of your convenience. Call 502-371-1173 for more information about these fantastic properties or visit us at the Open House in Louisville this weekend! What do a witch, a mermaid, and a giant have in common? They are all pivitol characters in Big Fish (the Broadway musical), currently playing at CenterStage at the Jewish Community Center in Louisville, KY. Big Fish is a musical adaptation of the novel of the same title by Daniel Wallace. A film version of the book was released in 2003 and directed by Tim Burton. The story was then mounted as a musical on Broadway in 2013 with music & lyrics by Andrew Lippa and book by John August. A few other musical works by Andrew Lippa include John & Jen, The Wild Party, several songs in You're a Good Man Charlie Brown, and more. Lippa was nominated for a Tony award in 2010 for a musical adaptation of The Adams Family. With that said, the music in Big Fish is fabulous and the plot line engaging. Without too many spoilers, the storyline circles around the Bloom family (parents Edward & Sandra and their grown son Will). When our story begins Will becomes married and is starting a family of his own. He is then summoned back home to see his ailing father. The two men must sort through their relationship past, present, and future which leads to a series of flash backs to the family's past. Edward Bloom is a likable southern gentleman who shares his "hero" journey with tall tales and elaborate larger than life characters. While Edward's son struggles to make peace with his dad's communication style, the audience can't help but fall in love with Mr. Bloom. The relationship is incredibly relatable and most viewers will see elements of their own family in this father/son duo. There are still several more opportunities to see Big Fish. Remaining Performances are on February 4th, 7th, 8th, 11th, 13th, & 14th (Valentines Day). If you're looking for entertainment & some heart felt bittersweet soul searching, check out Big Fish at CenterStage at the Jewish Community Center. You can purchase tickets at the ticket desk, by calling 502-238-2709, or online at the link above. Tickets are $20 in advance or $22 at the door. For more information about Louisville events or to speak with our team about homes in Louisville, call 502-371-1173 today.